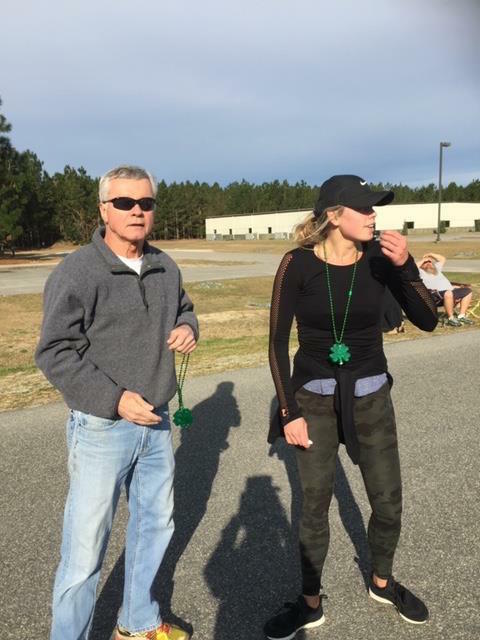 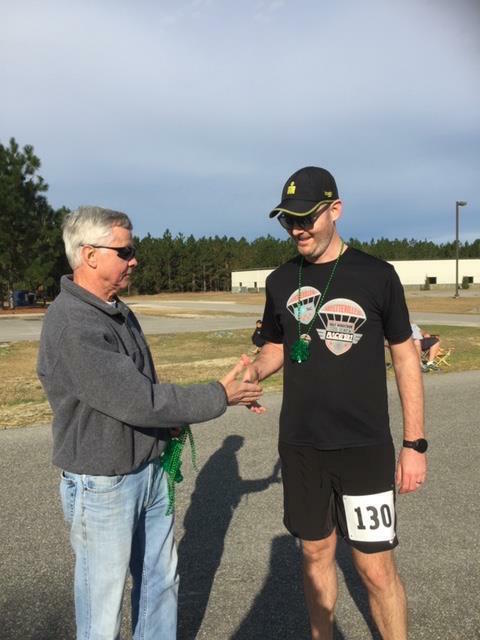 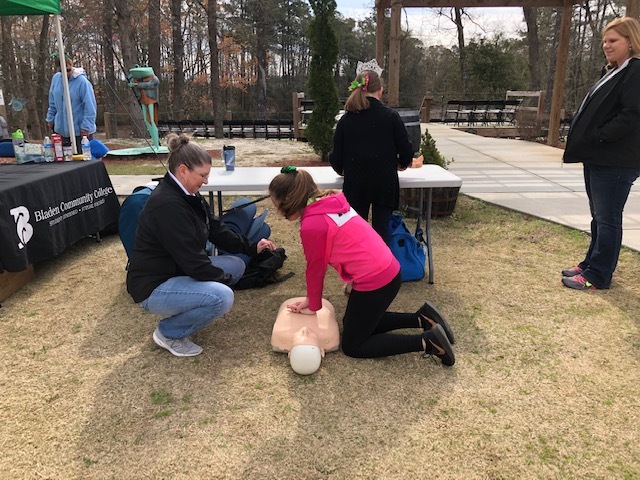 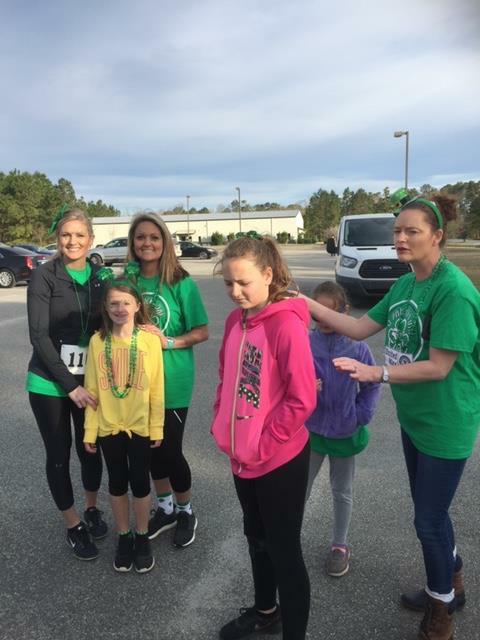 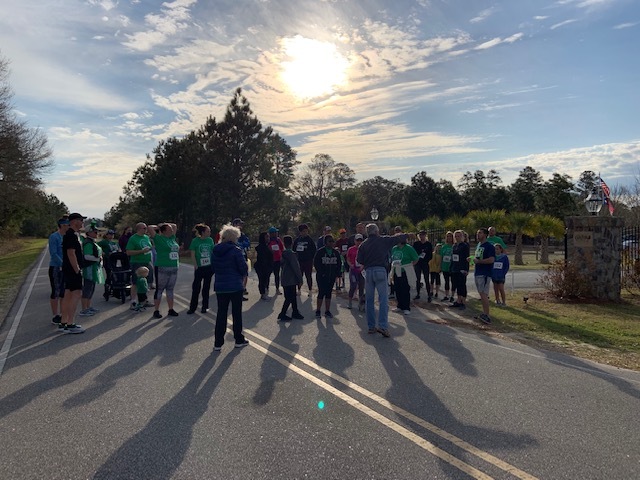 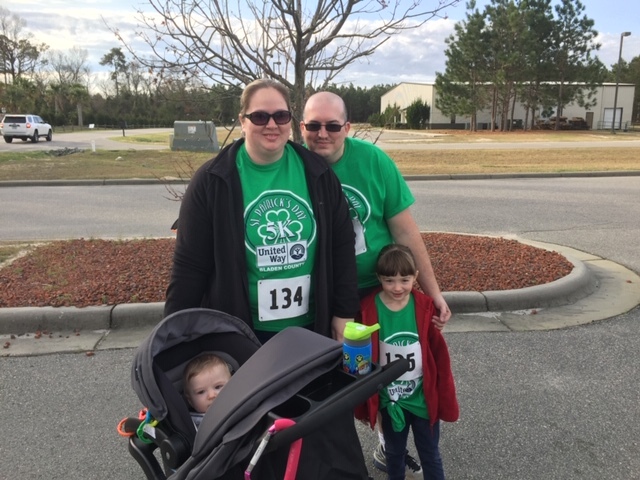 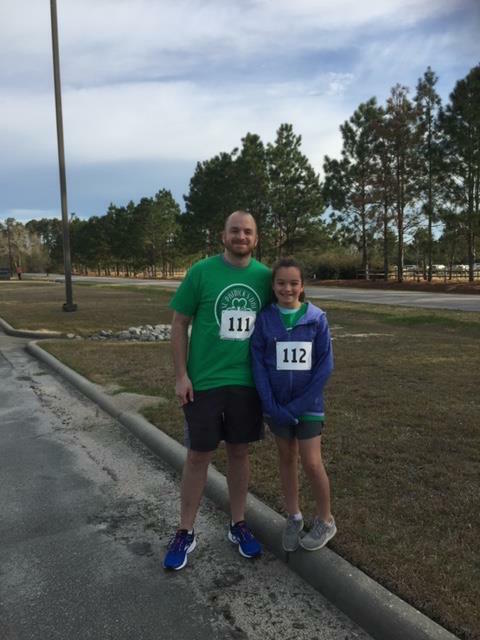 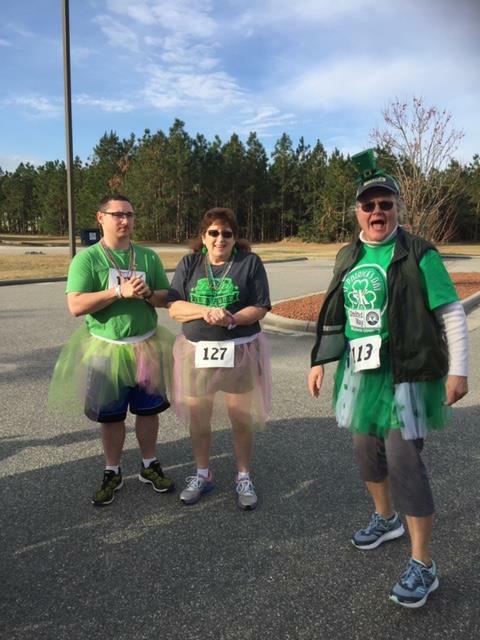 The United Way of Bladen County held their second annual St Patrick’s Day Fun Day and 5K on Saturday morning at Cape Fear Vineyard and Winery in Elizabethtown. 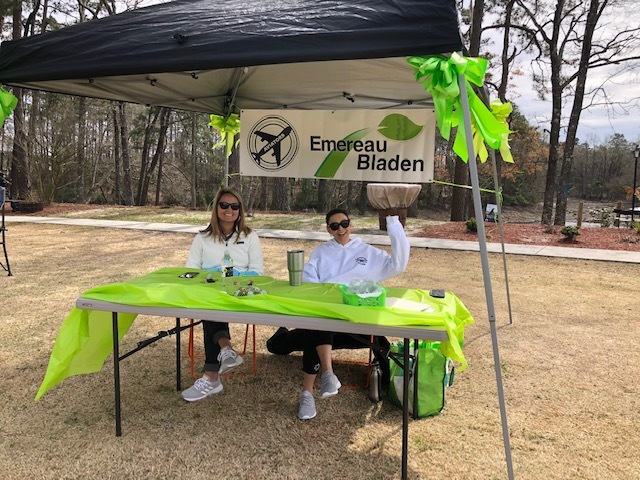 Temperatures were cool and the wind was brisk but the atmosphere was warm and welcoming to those who came out to meet the vendors and cheer on the participants in the 5K. 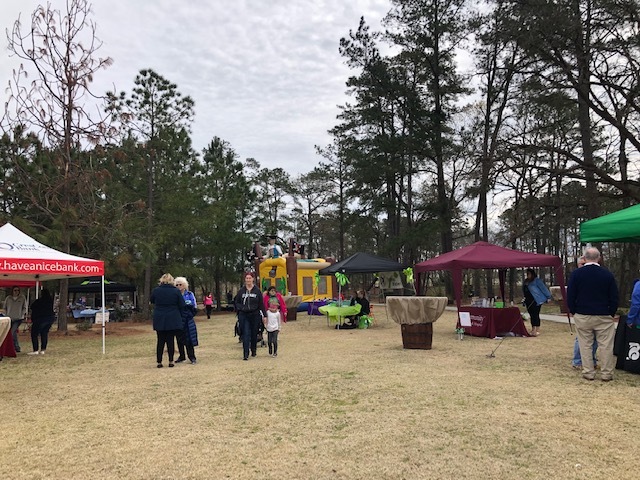 Bladen County United Way President Christy Sasser said the group is really excited about the turn out. “We had a great turn out and we appreciate everyone that came out and those that helped to sponsor the event,” said Sasser. 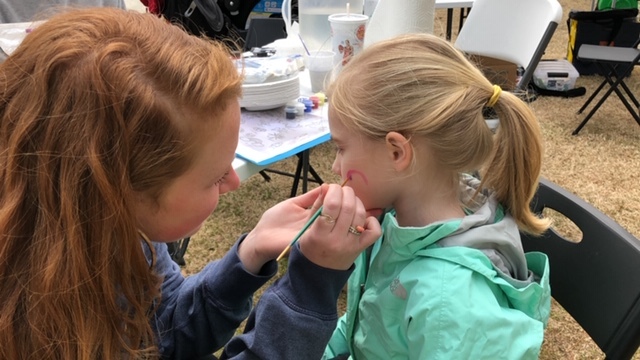 There was plenty to see and do on Saturday. 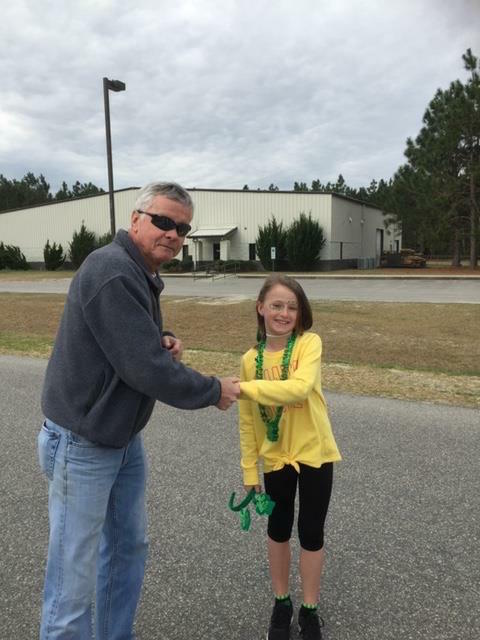 There was a raffle for a leaf blower offered by Southeast Farm Equipment, it was won by Brittany Simmons. 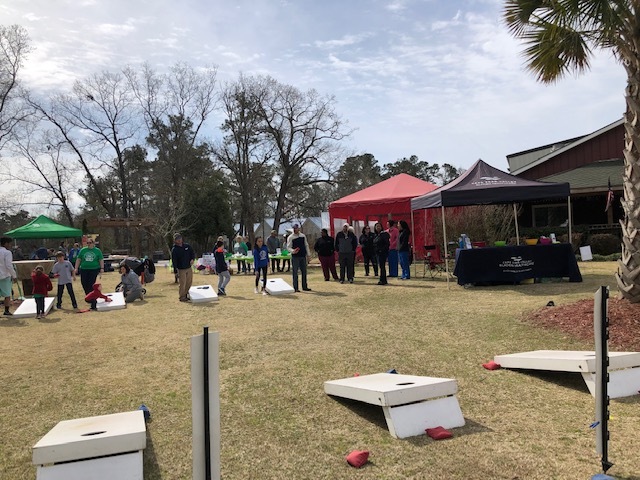 There were games, information booths, and plenty of fun for everyone who came out to enjoy the day. 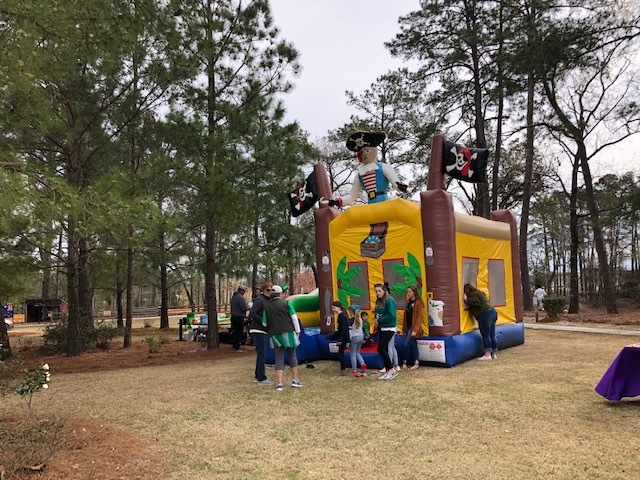 There was a bounce house, face painting and folks were even encouraged to enjoy the petting zoo. 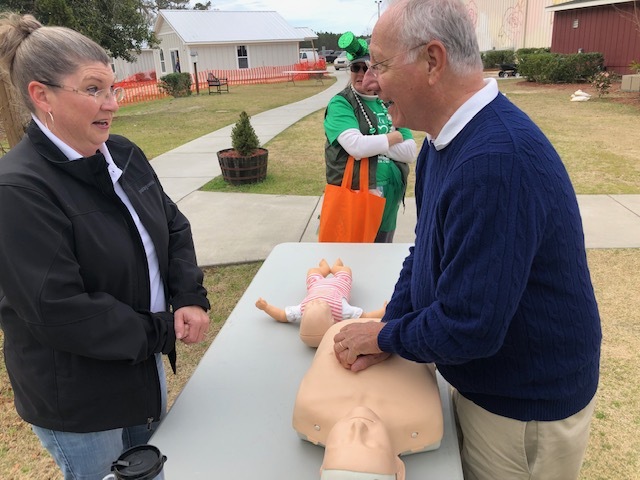 There was a chance to learn hands only CPR and there were plenty of crafts, clothing and hats to help everyone find that favorite souvenir or gift. 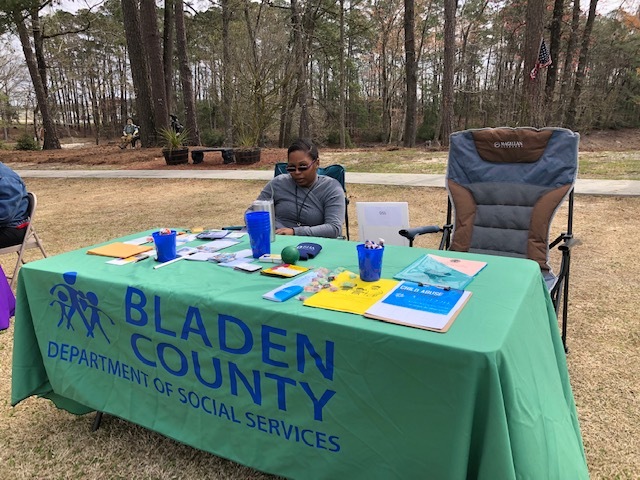 The Bladen County 4-H had a booth offering information about how to join 4-H. 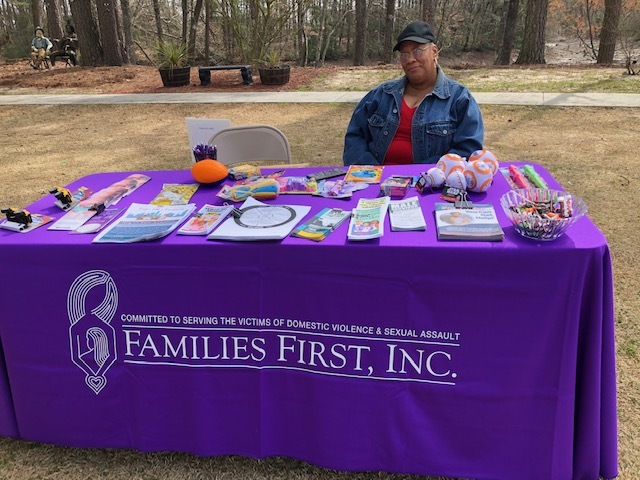 They also offered baked goods for sale. 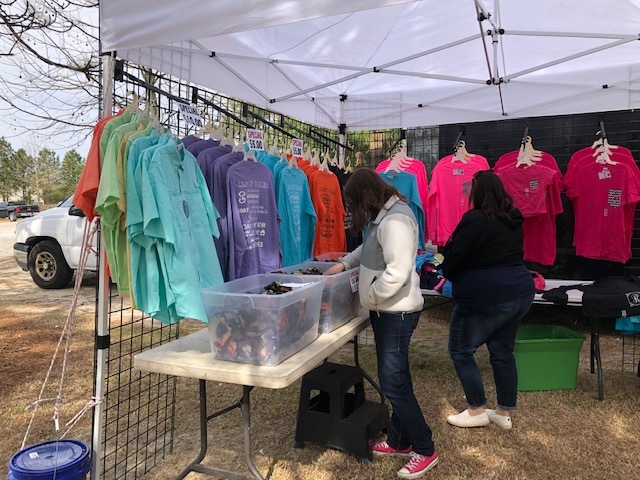 There were other booths filled with information about various groups, businesses and non-profits in Bladen County. 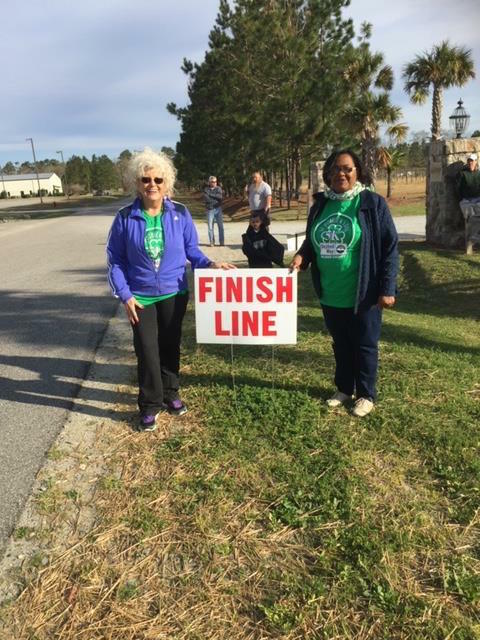 There was also a 5K Run/Walk held prior to the opening of the festival. 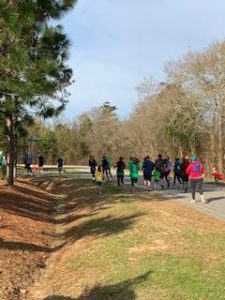 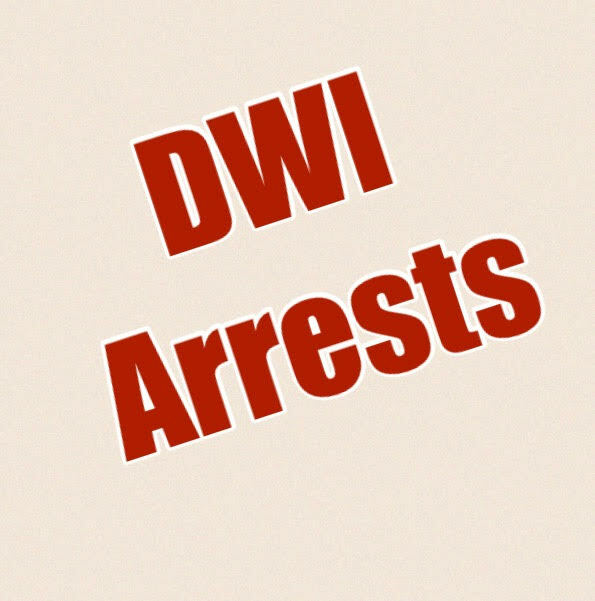 There were 56 individuals who registered to either walk or run in the event, according to Sasser. 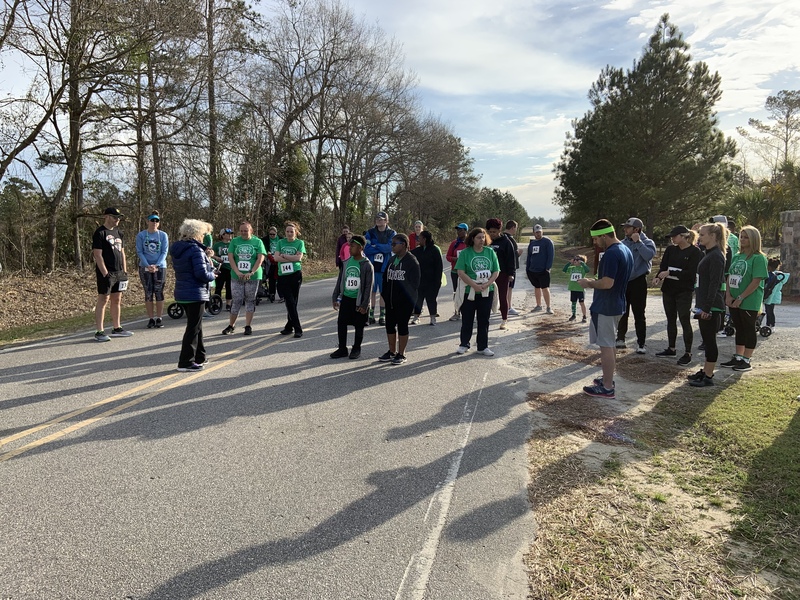 Finishing in First Place in the Adult Women’s Division was Christian Campbell, finishing in First Place in the Adult Men’s Division was Kendall Smith, and in the Youth Division First Place Girls went to Tenley Dowless and finishing in First Place Boys was Owen Hall. 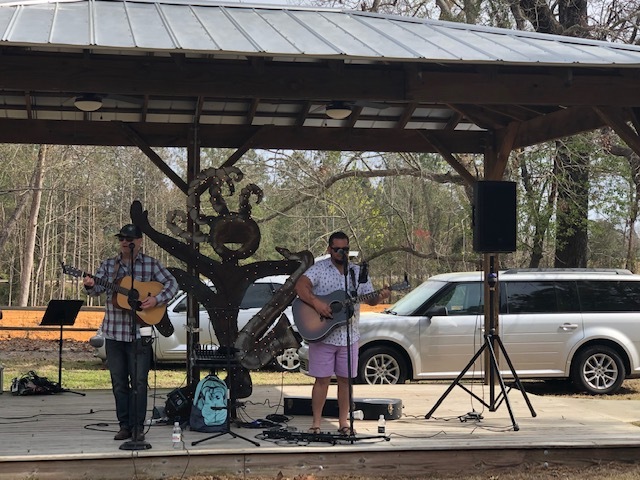 Jason Jackson and Randall Canady took to the stage during the morning and kept the crowd entertained with their brand of Country and Rock music. 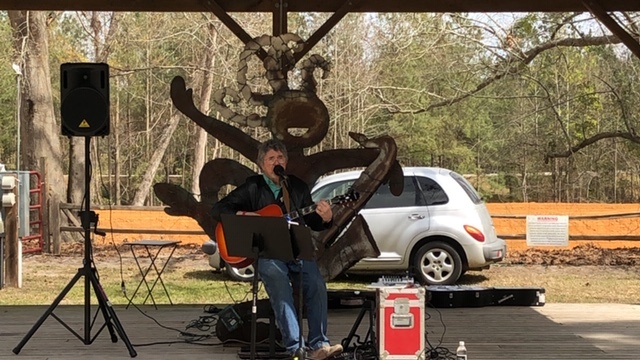 They were followed by David Howard Faircloth who performed rock n’roll ballads during the afternoon. 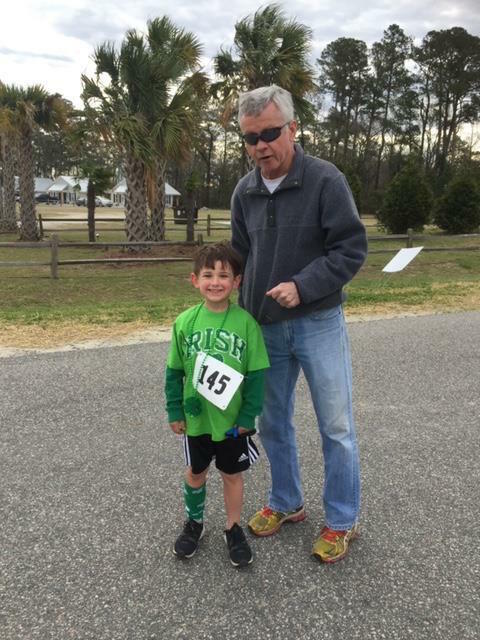 If you were not able to attend the St Patricks Day Fun Day but would like to make a donation, contact Christy Sasser at 910-991-6751.